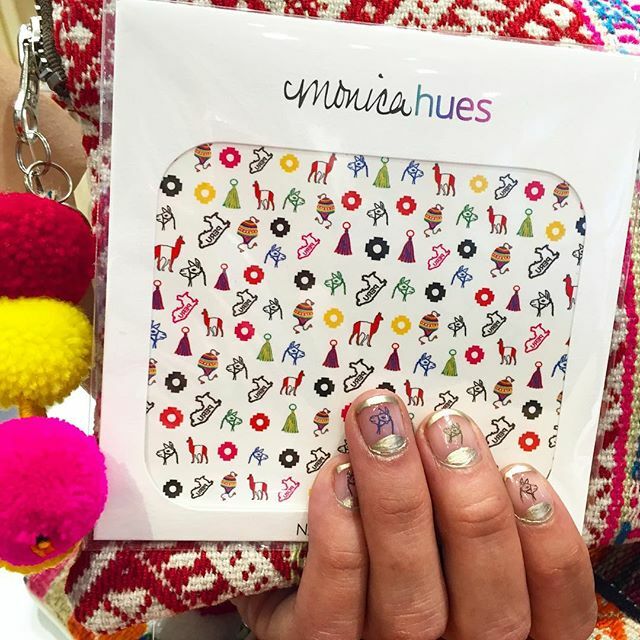 Peruvian themed nail decals by Monica Hues made exclusively for El Mercado Peru. 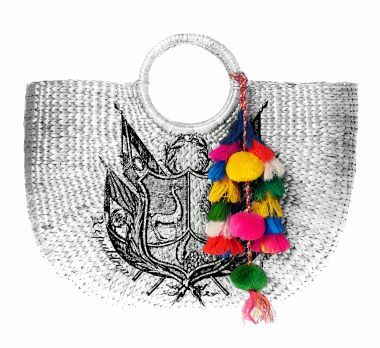 Designs include llamas, chacanas, tassels and a Peruvian flag. These handcrafted water-transfer nail decals are fun to use, and so unique! Add any decal tattoo to your existing manicure. You get 1 sheet with each pack, each sheet contains approximately 80+ icons. SKU: EM DECALS. Categories: $25 and under, For Her, Accessories. The nail decals come with step-by-step instructions. First, apply your desired base coat color and let it dry completely. White or light polish works best with the colorful decals. Next, carefully cut out your desired shape from the sheet as closely as you can. Place your chosen design face down on your dry base coat color, and dampen the back (we prefer a wet Q-tip). Peel away sheet from nail, and discard. Then top with a clear coat. When it’s time for your next mani, the decals come off easily with nail polish remover.